"This was a staple in my home growing up and is usually served over biscuits, with corn bread, bacon, eggs, and cheesy grits." Very tasty! Have never had tomato gravy before, but this is EASY and makes a great breakfast! Have to say it's biggest downfall is the pink color..But really was GOOD! I MAKE THIS ALL THE TIME!!! This is amazing! I've added clam and corn also on separate occasions it was still amazing!! 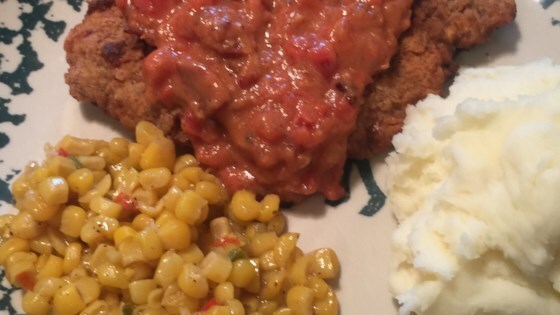 The tomato gravy is a great base don't be afraid to mix in different flavors! I love love tomato gravy, I have made it all my life. I've never used cream cheese. And have always added a little sugar, served over toast oh so good!